By now, most people have heard about the demise of Hostess Brands, whose products include Twinkies, Wonder Bread and DingDongs. The news has left many consumers wondering how this could happen to such well-known products. And some consumers, who have a strong connection to the brands, have even adopted a hoarding mentality and are stocking up as they fear the product will no longer be available. While consumers may mourn the loss of one of their favorite products, from a business perspective it seems highly unlikely these products will be gone for long. This is due to the power of brand names and the equity these provide. As we discuss in our Product Decisions tutorial, brand equity refers to the financial value a brand holds simply based on its name, symbol or other identifying characteristics. For instance, some brands are so recognizable that the rights to the name alone could be worth billions of dollars. While most brand names are not worth billions, many that have been around for some time do hold value. This can be seen from our posting in 2010 which discussed the selling of trademarks for old brands. 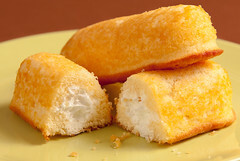 For Hostess products, the value of their brands may be quite high, especially for Twinkies. While operations at the Hostess company may be ending, it is likely a potential buyer will see value in acquiring some of their product names. Consequently, expect there to be strong bidding for these brands. Ms. Lennox, of Jones Day, said the company has received “a flood of inquiries” in recent days. “We therefore think there could be very healthy competition,” she said, adding that Hostess may, within the next several weeks, start seeking court approval to take specific assets to the auction block. Besides Twinkies, what other Hostess brands hold the greatest brand equity?